Some of the events we hold are optional, but our Founder's Day celebration in the Fall and our weekly chapter meetings are mandatory. Because we value academics highly and believe that academics come first. We have many opportunities to play intramural sports in the Spring and Fall semesters, where we compete with and against other chapters! We hold events supporting our philanthropies each semester, and we also participate in other chapter's philanthropy events. We have many volunteering and service opportunities throughout the Spring and Fall semesters, which you can read more about on our Philanthropy page! We do require that each member maintains a 2.5 overall GPA in order to remain in good standing. If a member falls below this minimum, she will be provided an Academic Assistance Plan with guidance from a member of the scholarship committee. 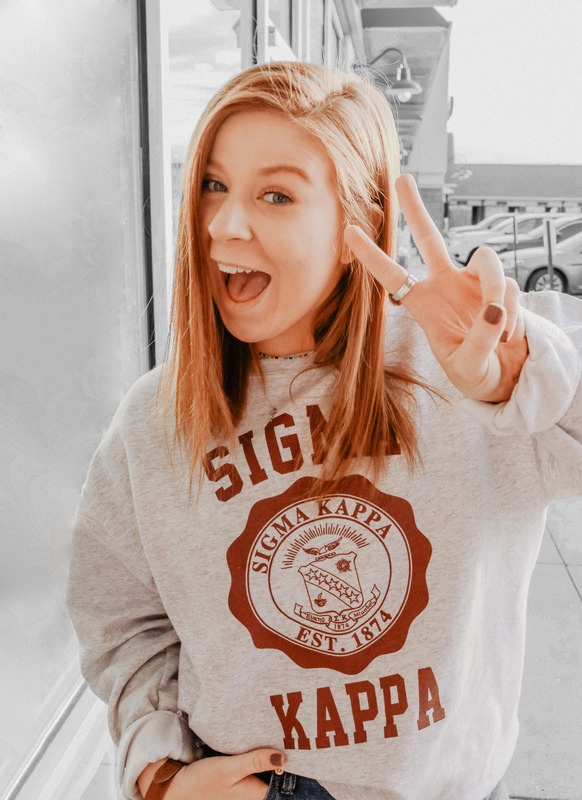 Sigma Kappa recognizes that education is the primary purpose of the collegiate experience and strives to provide resources to all members in reaching their academic goals. We provide motivation and assistance for our sisters to help them develop their fullest academic potential and plan for a successful future. After graduation, your daughter has the opportunity to remain involved in the organization for years to come. With over 165,000 members worldwide and 106 alumnae chapters in 34 states, your daughter has the opportunity to connect with women wherever she goes in the coming years. Alumnae membership looks different for each of our members. Some are involved in an alumnae chapter that meets regularly for activities and service events while others are advisors for a local chapter. Our members are able to continue their personal and professional development with Sigma Kappa through social and philanthropic activities with other alumnae members. The possibilities are endless and her Sigma Kappa involvement can and will look different over time-based on her life experiences at the time.